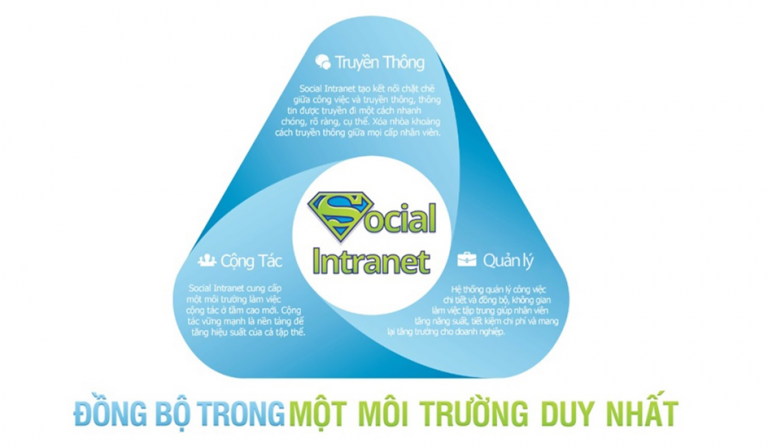 The most prominent platform solution (Enterprise Social Network) is Bitrix24. So why Bitrix24 is a name that customers trust and use? 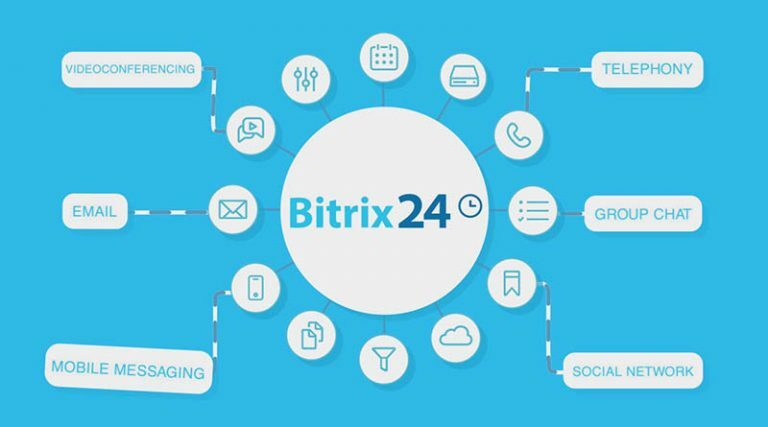 Bitrix24 connects all business activities to a unified organization based on three elements: Communications, Collaboration & Management. Communication is extremely important, it connects, bridges the information across the members and through which multi-dimensional information will be understood by everyone to do right from the beginning, greatly limiting playback problems. Born from a lack of understanding between employees and managers. 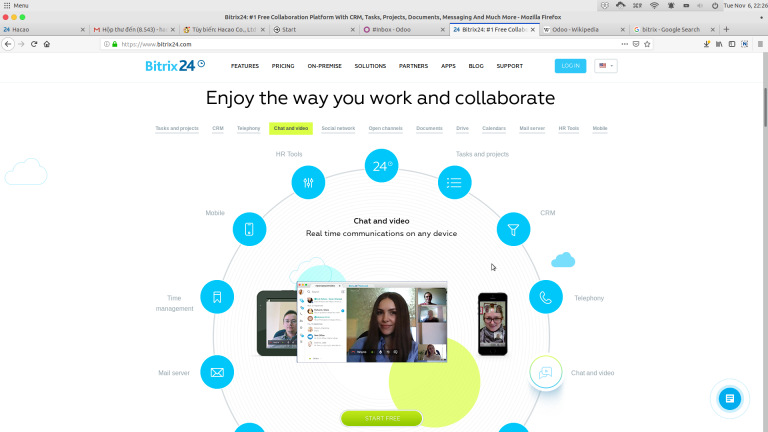 Based on good communication, of course, collaborative activities work together on the tools that the Bitrix24 support system will be simpler and more effective. Something that almost all management levels want to know is how the situation has been going on. Is there a problem to handle? Should any problems or problems arise, will the system promptly notify the person in charge? All of the things that Managers are interested in are supported by Bitrix24 and make administration and administration much easier. Of course, productivity will improve, job quality will be better, business operating costs will be reduced, process automation will be improved, competitive strength will increase and eventually profit will be achieved. 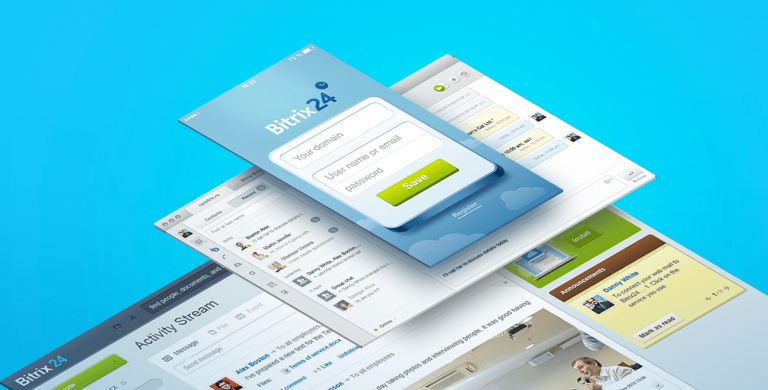 Bitrix24 is a very good platform for connecting to ERP systems, HRM, Inventory Management, Accounting Software, and other professional softwares that will further strengthen the management, operation and direction. to the upcoming 4.0 automation era. 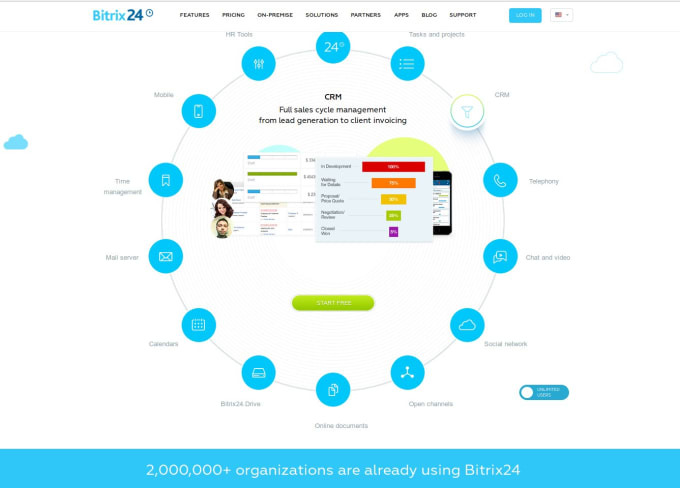 The Bitrix24 system is available on over 35 functional tools for use in typical tasks such as: Communications Management, Tasks Management, Calendar Management, Document Management, Automated Management, reports, etc., and customer relationship management (CRM) software has been integrated with automation processes for Sales, Marketing, or other related activities. of customer care.